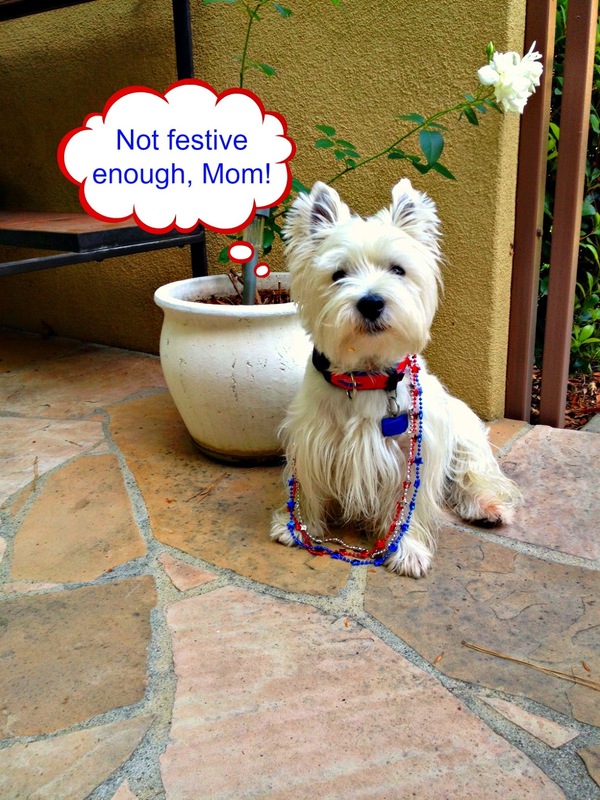 The White Dog Blog: Wishing you a "just right" 4th of July! Stay safe, Duncan. You look cute in any attire! Wowsa!! That is some PAWSOME bowtie you gots there Duncan!! Have a safe and callllllm 4th!! YOU look so Patriotic and FESTIVE. YES, stay Safely HIDDEN from the NOISE. You're a good sport! Hope your having a fantastic 4th and weekend. You look very festive, Duncan! Happy 4th! Duncan you look most handsome in a bow tie...I love men in bow ties! 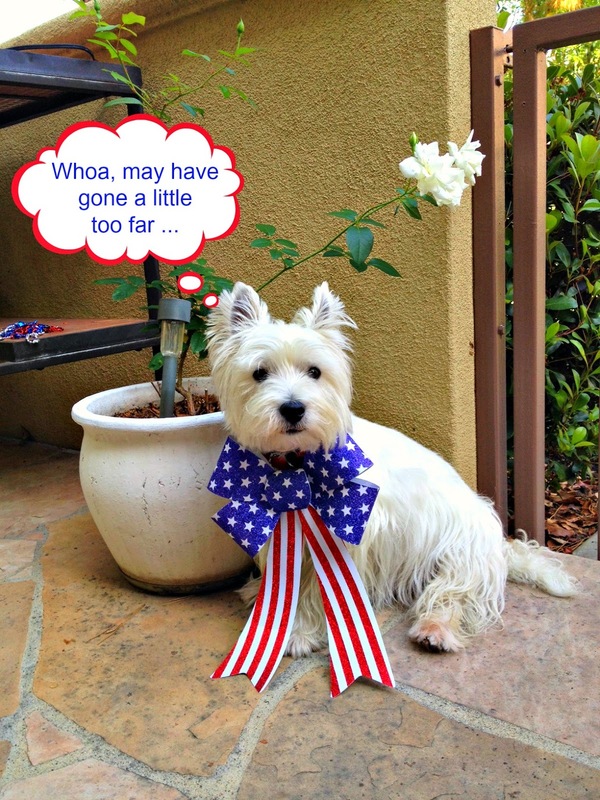 Hope ya had a pawsome Fourth of July! Hope you had lots of fun Duncan, and didn't trip over that bow tie.